Many bakeries and stores are offering deals today to people who have voted. Just Baked, a cupcake shop in Canton, Michigan, was offering these sweet cupcakes today. 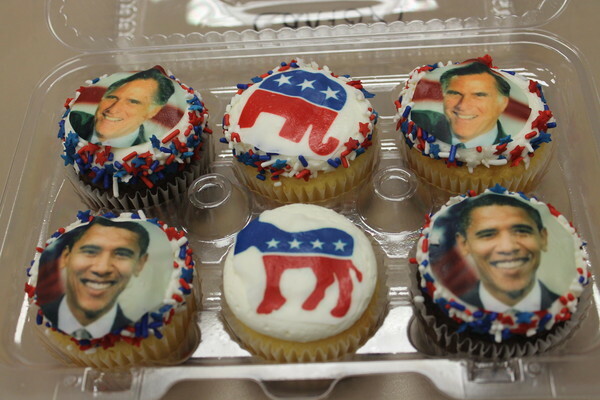 Did anybody else have cupcakes to celebrate the election? 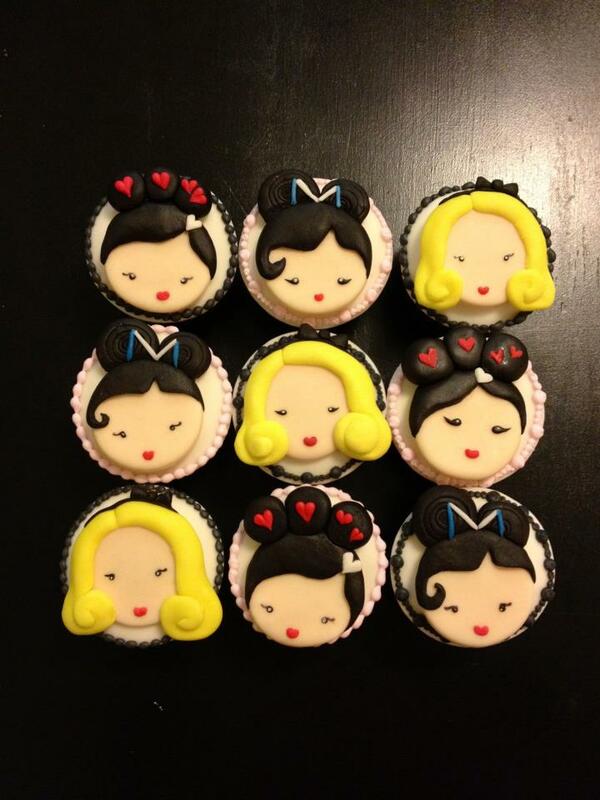 Harajuku was not a word in my vocabulary until several weeks ago when a friend of mine showed me these amazing cupcakes that she made for a client here in Chicago. In case you are like me and you don’t know, Harajuku is the name of an area in Tokyo, which is known for the different types of fashion that can be seen here (like cyber-punk, ganguro, and cosplay). Gwen Stefani helped popularize the idea of “Harajuku Girls” by dedicating her two solo albums and her clothing line to Harajuku fashion. Enough about that, though. Check out these awesome cupcakes! And, if you’re in the Chicago area, consider looking up Karlie’s Cakes and Cookies on Facebook. She has a lot of talent! 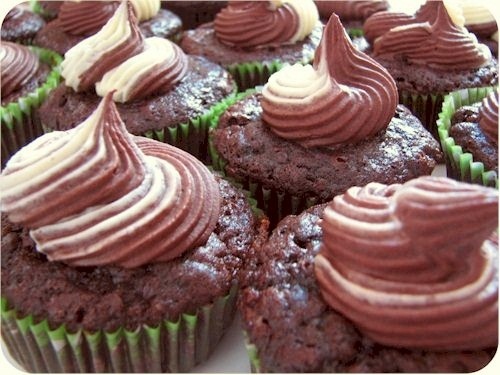 Do you need to make cupcakes and you need to make them right now? 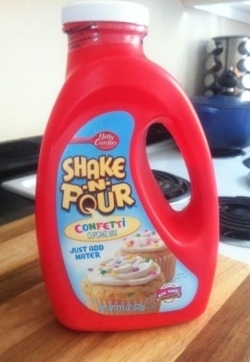 I have never seen this before, but here is the quickest way to make your own cupcakes: Betty Crocker’s Shake-n-Pour Cupcake mix. All you have to do is add water, and according to this review, it’s not half-bad. I say it’s definitely worth a try if you are in a bind! The countdown is definitely here. If you haven’t figured out what kind of cupcakes you are taking to the Halloween party, the clock is ticking. 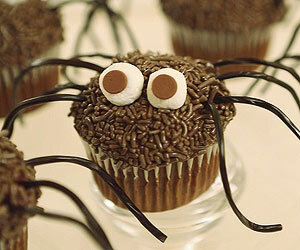 If your preference is spooky rather than silly, then here are some creepy cupcakes for you. I personally like the Witch’s Cauldron cupcakes (hover your mouse over the picture and a box will pop up giving you tips for making these). 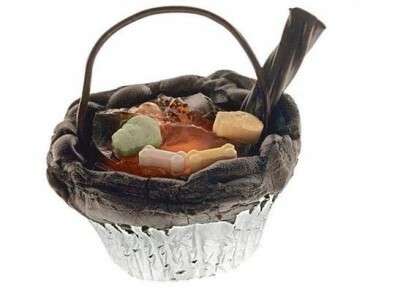 Use chunks of orange gelatin for the inside of the cauldron, candy bones and skulls, and licorice pieces for the handle and the spoon. Owl cupcakes are always a good option this time of year. This recipe suggests using store-bought chocolate cupcakes with chocolate frosting and using oreos and m&ms for the eyes and beak. 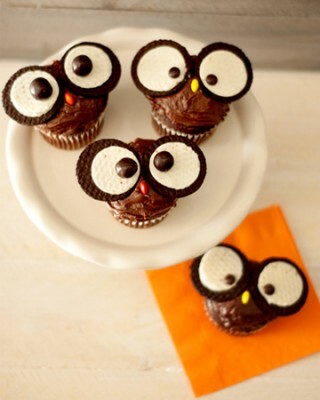 I don’t think it gets much easier than this, and your cupcakes are sure to be a hoot with all your friends. Needing to go dairy-free for your Halloween cupcakes? These sound very tasty. I have always loved the chocolate-orange combination, and orange and black just so happen to be Halloween colors, so this works wonderfully. I love these Daddy Longlegs cupcakes. The only extra ingredients you’ll need are mini marshmallows, chocolate chips, black licorice, and chocolate sprinkles.